The blast took place as a Sunday Mass being held in the chapel was about to end. 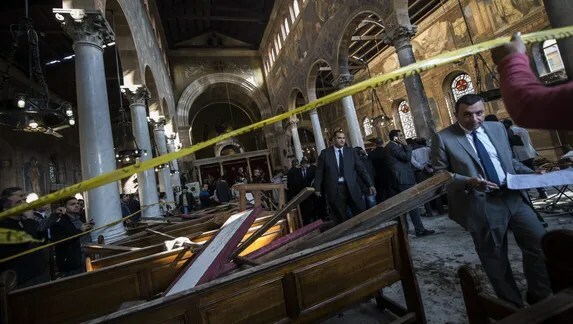 CHR Comment: St. Mark’s is the religious center for Coptic Christians in Egypt and the seat of governance for Pope Tawadros II, the leading bishop. In other words, for the Copts, this would be like a bomb blast at the Vatican. I have added below a follow-up article from the New York Times, which provides further background on persecution in Egypt.